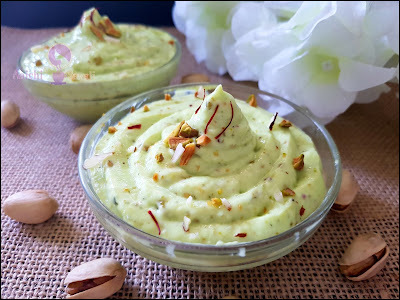 Shrikhand is a traditional Indian delicacy, which is creamy yogurt based dessert, made simply by straining yogurt and sweetening it by adding sugar and flavored with cardamom, some nuts, and saffron. 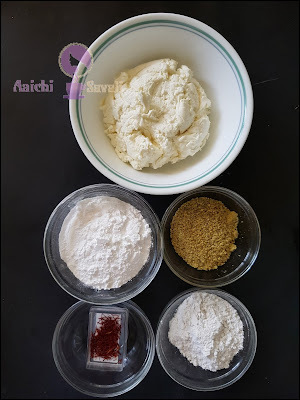 To make blending easy and instant, I have used a hand mixer; you can use mixer grinder or wired whisk too. 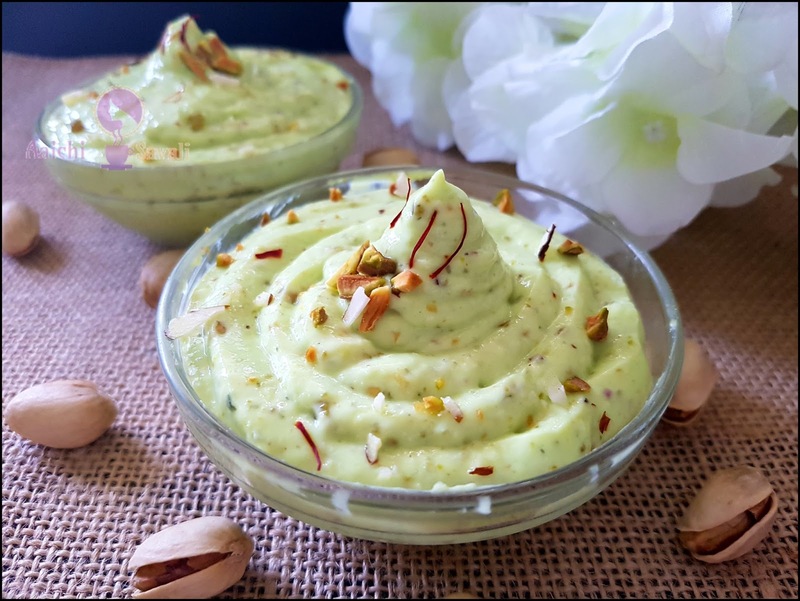 Instead of making it plane shrikhand, I always flavored it with saffron, pistachios, almonds or with mangoes and it tastes heavenly! While making fruit-based shrikhand, first beat the hung curd and powdered sugar and then add the fruit puree or pulp. So this gudi padava I am preparing this Pista-KesarShrikhand. Traditionally, on the occasion of gudi padava in Maharashtrian families prepare a special dish that mixes various flavors, particularly the bitter leaves of the neem tree and sweet jaggery, which is eaten as a reminder of life's sweet and bitter experiences, as well as a belief that the neem-based mixture has health benefits. Sharing with you easy to make your Shrikhand at home with hung curd or greek yogurt. It takes just 5 minutes of your time to prepare shrikhand. 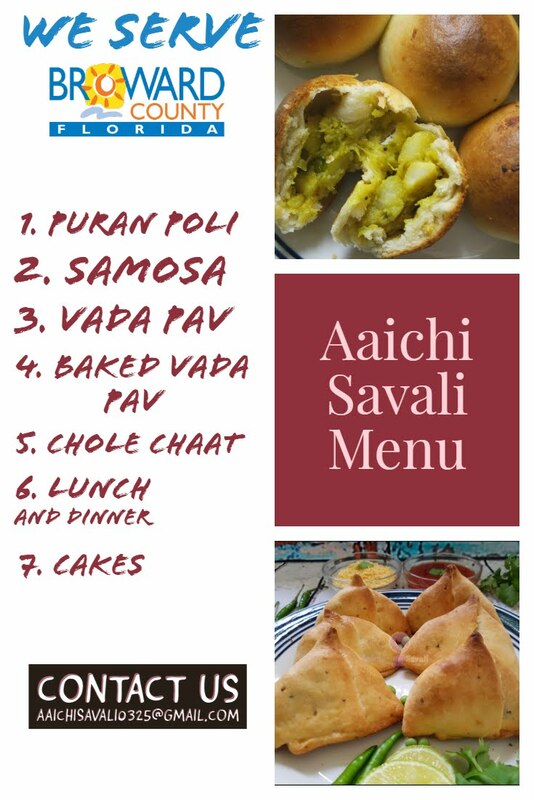 If you love this traditional Indian dessert, here is the recipe. The whole Recipe for Shrikhand Contains 316 Calories. Now add cardamom powder, pistachio powder, saffron and mix and beat all well. Tadaa, sweet and flavorsome shrikhand is ready to serve, garnish with dry fruits, it tastes good with Puris. Enjoy!!! 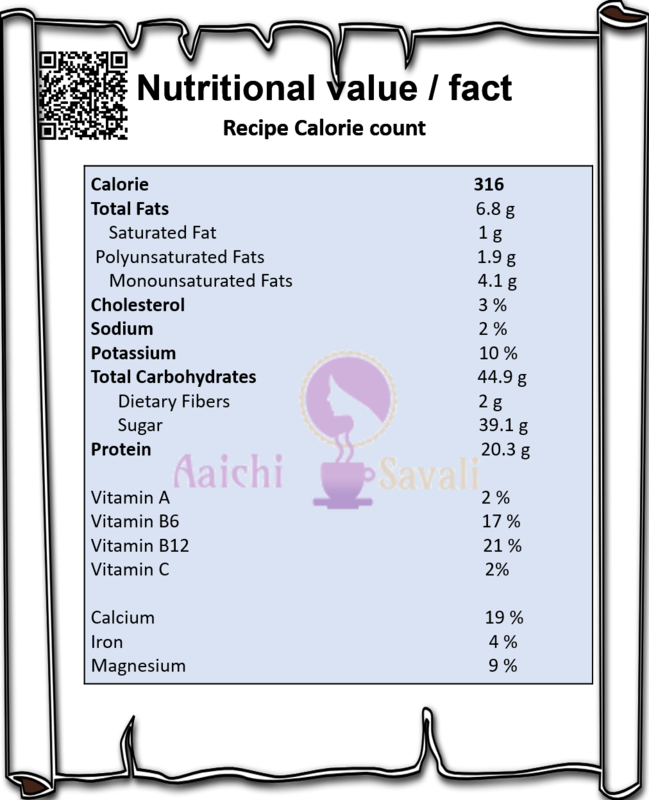 Whole Recipe contains 316 calories, along with carbohydrates - 44.9 g, dietary fibers - 2 g, fats - 6.8 g, proteins - 20.3 g.
It's good to eat shrikhand as a dessert or for lunch with pooris.